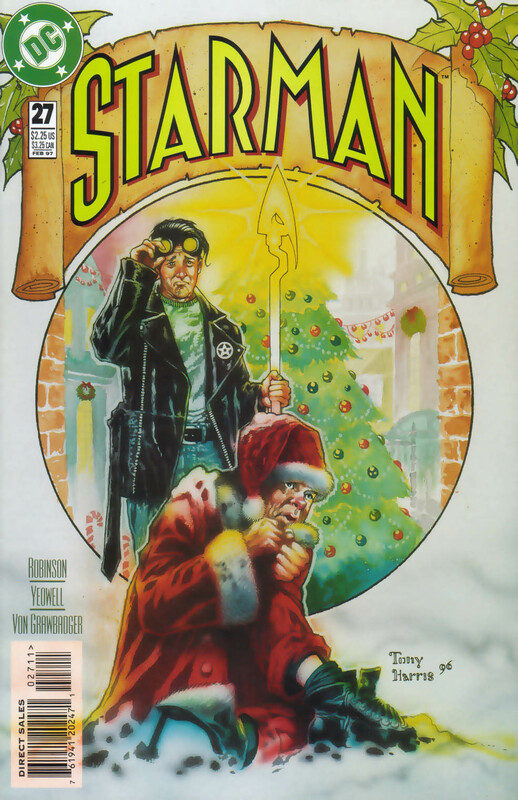 In STARMAN #27, James Robinson and Steve Yeowell have pretty much the entire supporting cast waiting for Jack Knight, the then-current Starman, for a Christmas party. However, he's held up because he just runs into Santa Claus. Okay, not actually Santa Claus, but one of those department store Santas, whose locket, which contains the only picture of his deceased family, has been stolen. 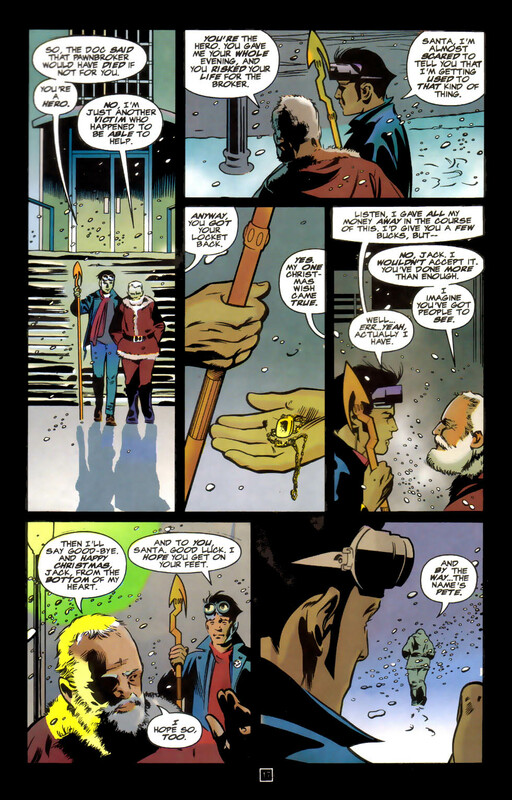 Jack of course helps him to get it back, at which point they go their separate ways. 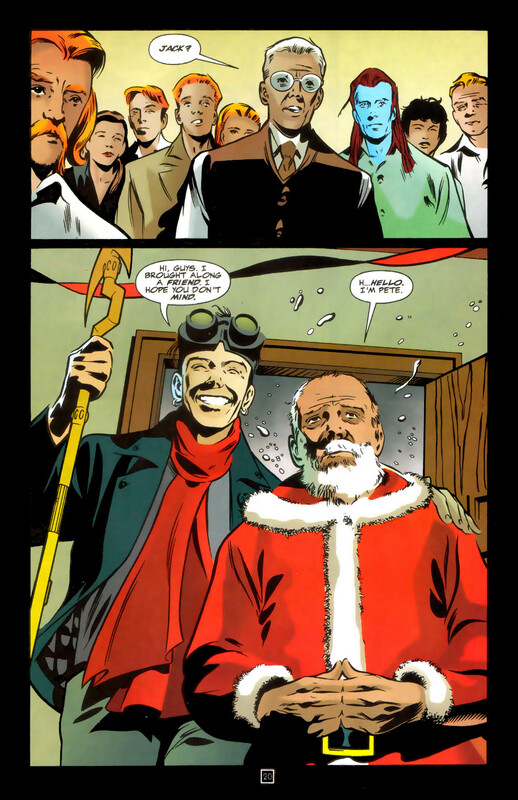 At the end of the day, though, Jack decides he simply can't let Santa Claus spend Christmas on his own. 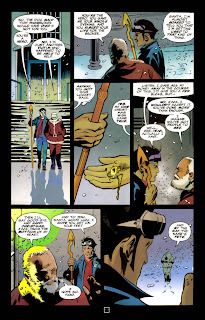 A truly touching story, even if hampered by the art. I loved this story! 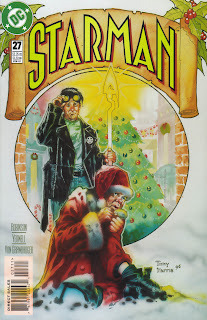 Kinda...makes me wanna, uh...borrow your Starman issues again. Uh. Can I? You've got it. If I remember right, I think this one made you tear up. That can't be true! I don't cry over anything. Ever. Oh. Right. I stand corrected.